No More Hippies Jumping On The Bed! With insurance prices, fuel costs, and the issue of space, your dream of owning a classic VW Bus may never become a reality (sad face). Maybe this bed will qualify as a close second? 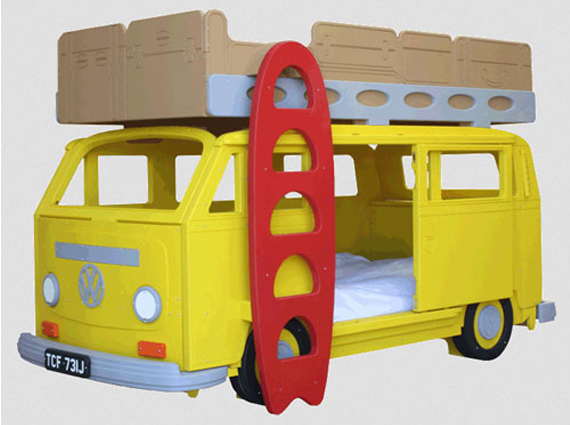 The VW Camper Van themed bunk bed is so close to the real thing, your little ones might wake up from nap time saying things like “groovy” and “far out, man.” Its features include a wooden sliding door which accesses the bottom bunk and a surf board ladder that takes you to the top. 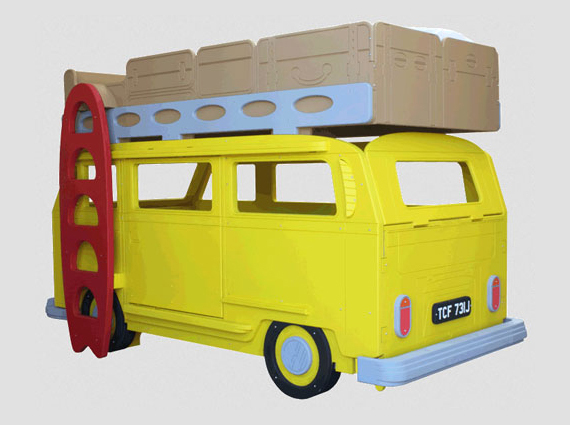 Produced from plywood or MDF, it can be ordered painted or unpainted, and ships from the UK. Personally, I’d go unpainted and unleash some flower power and peace signs all over it.